Media events attract publicity and promotional coverage. They give your company direct opportunities to raise awareness of what you do while you connect with prospective clients and show them your value as a resource. Whether you showcase your business in person or through a streaming webinar, you make experiential connections that create memorable experiences for audiences that place increasing value on these direct interactions. Customers choose what your company offers on the basis of its ability to satisfy a need. How you differentiate yourself from competitors determines whether your prospects rank you above other alternatives. Media events give you an opportunity to convey your advantages directly, to reinforce your uniqueness and solidify prospects’ impressions that you know what they want and can deliver it better than others. Brand identity forms an important central aspect of the message you convey. Hosting a media event shows your mastery in your field. Whether you put on a gathering to honor your clients or offer a webinar to share your know-how, you identify yourself and your business as authoritative leaders. That direct, confident show of in-depth knowledge makes a powerful impression on clients, prospects and the media. Publicizing your event requires an effective public relations effort to raise awareness among your audiences. Brand recognition and messaging rely on your ability to convey your advantages and make that message widely available. People who attend media events tell others about what they see and hear. As many as eight out of 10 of your attendees will talk to others about their experience. When you strategize, plan and organize your event effectively, you give people good reasons to spread your message. Effective planning gives your entire organization a boost, helping you identify and communicate your company’s unique advantages to the right target audiences. 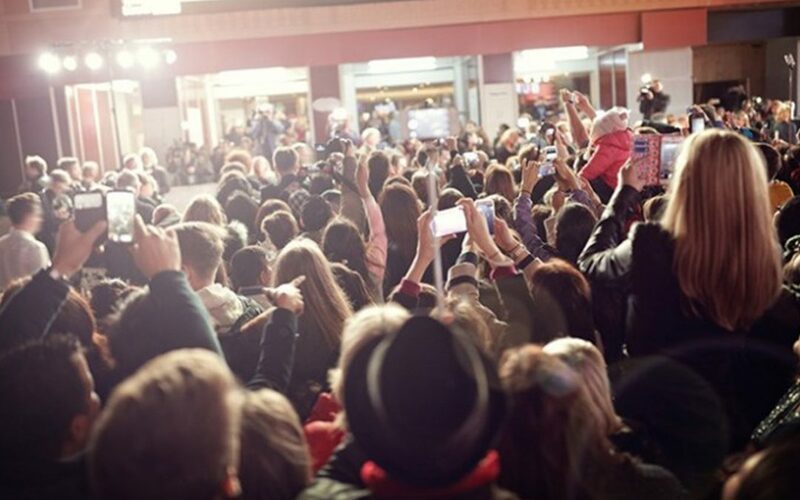 If you’re planning a new product rollout or adding a new service to your offerings, a media event offers an ideal way to reinforce the value of what you do – and to do so less expensively than if you publicized your launch with ads in traditional media. Either at a face-to-face event or online, you create cost-effective opportunities to connect. To extend the message about your new offerings even further, add printed or digital collateral literature that delivers your product or service story before, during and after your event. And to encourage your audience to attend, professionally crafted invitations convey your identity as well as your event details. Meeting directly with prospects and customers gives you a chance to gather their equally direct feedback about what you’ve announced and previewed. That mixture of critique and praise can be essential to assuring that your product or service truly reaches the targets you’ve set up as your objectives. Your attendees’ questions may show you areas that deserve further attention before you’re truly ready to hit the market – or reveal opportunities to broaden what you offer in response to additional needs. Managing attendee feedback relies on the personable combination of direct communication and software-driven contact management. If you take the right steps to assure media coverage of and attendance at your event, you increase your attendance accordingly. To attract an ideal audience, of course, you need to know who’s important to you, whether it’s a particular type of client, an influential decision maker at a specific level of responsibility or a media personality whose audience reach can boost your profile. A public relations partner can help you solidify your sense of who’s listening and who should be tuning in. All these tasks and considerations become much easier to handle with expert assistance, and that’s where we come in. We’ve helped our clients run countless successful media events, along with all the strategic planning, brand identity and public relations expertise that underlie a confident communications plan. We welcome the opportunity to put our knowledge to work for you. Let’s talk about what we can do for you.